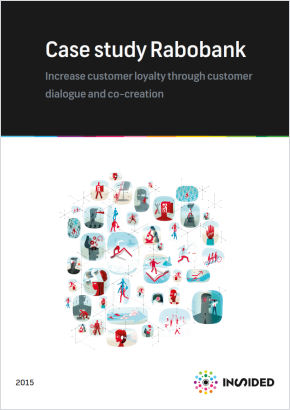 Increase customer loyalty through customer dialogue and co-creation. Rabobank is a multinational banking and financial services company headquartered in the Netherlands. As a global leader in Food and Agricultural financing and sustainability-oriented banking, the bank has operations in 40 countries and serves almost 9 million clients. The bank looked for a way to increase engagement with some customer segments and improve its products and services through conversational research and co-creation. Rabobank decided to start a customer community on its own website. The community provides customers with a social space to share opinions, ideas and knowledge, and enables Rabobank to provide access to relevant, trusted information at every stage in the buying cycle.